With the end of 2018 just around the corner, many people are rounding up and closing shop for the year, both figuratively and literally. But it seems humans and companies aren’t the only ones doing this as even the stars are about to give us one last hurrah to close the year. According to NASA, we are about to witness the last and strongest meteor shower of the year – The Geminid meteor shower which will be appearing across the skies on Thursday and Friday. The Geminid meteor shower, which was first recorded in 1862, is known for appearing every December and for its ‘shooting stars.’ This is caused by The asteroid 3200 Phaethon which is odd because comets usually create meteor showers with icy debris. Phaethon was discovered in October 1983 and named after the Greek myth about the son of Helios, the sun god, because it orbits the sun closer than any other asteroid and takes 1.4 years to orbit it. In the hours before sunrise Friday, the most meteors will be visible in the North American sky, peaking about 7:30 a.m. ET, predicts Sky & Telescope. 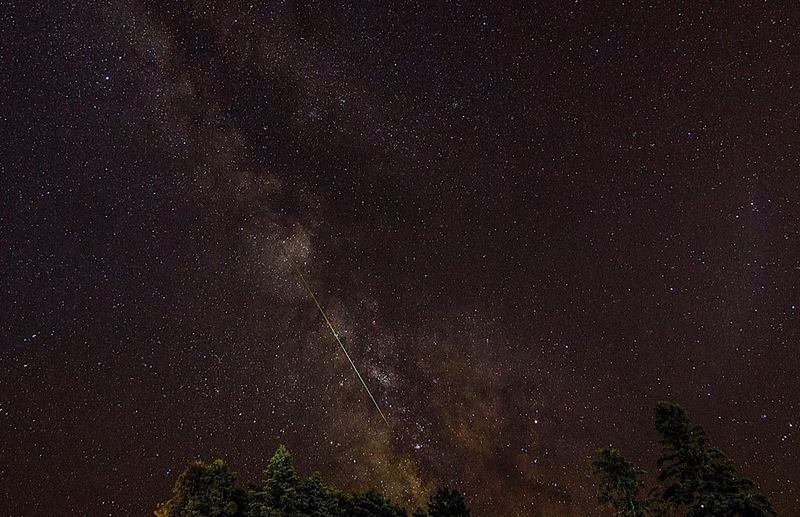 To view the meteor shower, find an open area with a good view of the sky, get a blanket so you can stare up at the sky and give your eyes a few minutes to adjust to the darkness. Whilst watching you might see a small patchy fog, that would be the Comet 46P/Wirtanen, which is making its closest approach to Earth — within 7 million miles — for the next 20 years. And it will be visible to the naked eye. The comet is expected to come closest to Earth and peak Sunday. To see when they will peak in your part of the world, check here.